UKIP leader Nigel Farage has come under fire and been called “disgusting” for “cheap political point scoring,” after he used the carnage in Brussels to back his Brexit campaign. The controversial figure has been branded as “disgusting” for using the deadly Brussels attacks as a reason to quit the European Union. He was called “shameless Brexit scum” after he retweeted a message on Twitter whilst explosions were killing scores of people in the Belgian capital. Despite the levels of criticism, Nigel Farage posted it out to his followers as the tragedy was still unfolding. Other social media users hammered the MEP with a barrage of abuse for “scoring cheap political points”. One person called the retweet: “The most insensitive thing I have EVER seen. It wouldn’t be a proper terrorist attack if it wasn’t immediately followed by desperate liberal virtue signalling, eh? It’s so predictable. Attack Farage (for a retweet!) and attack UKIP. Then blame the West and insist that the attacks have nothing to do with Islam. 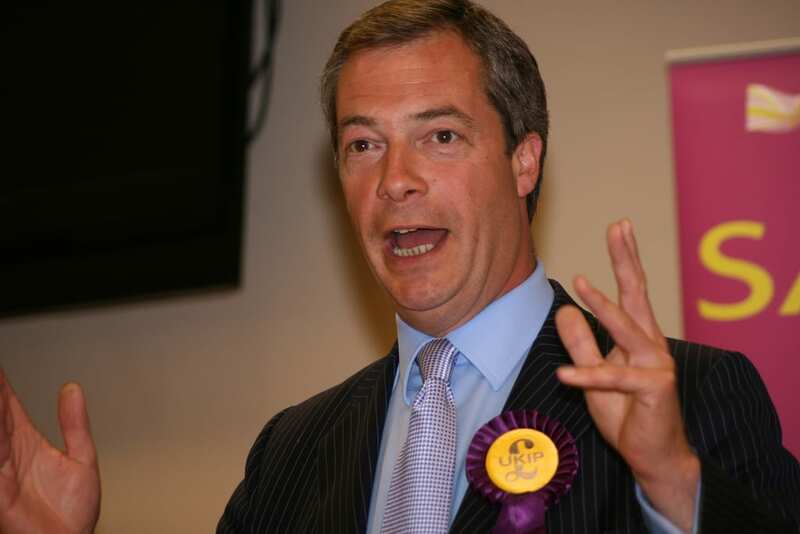 Farage tweeted nothing but “I’m very upset by events in Brussels today and even more depressed for the future.” – WOAH don’t be upset guys, or else you’re a RACIST BIGOT WHO DESERVES CRITICISM BOO!